Program Speakers are scheduled for the 4th Thursday of March, May, & first Thursday of September, of each year at 7:00 p.m. The public is welcome to attend these events, at no charge. 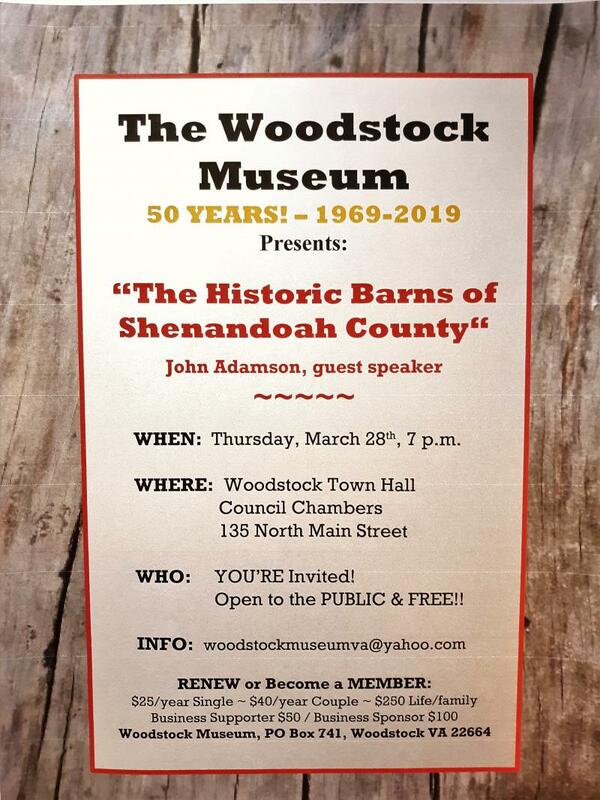 Generally these events are held in the Town of Woodstock's Council Chambers at 135 North Main Street, Woodstock VA. Please check back for more details on speakers and event time & location. Additionally, there is a speaker or entertainment at the Annual Docents' Dinner on the 4th Thursday of October - a fee is charged for this event, which includes a catered buffet dinner. Below: The May 2017 Program speaker, Keith Stickley, publisher of The Free Press newspaper, spoke to a full house about “1950s Woodstock: 140 Characters before Twitter”﻿. A wonderful slide show of the Town & its characters, along with Keith's vivid descriptions, provided for a lively bit of entertainment. 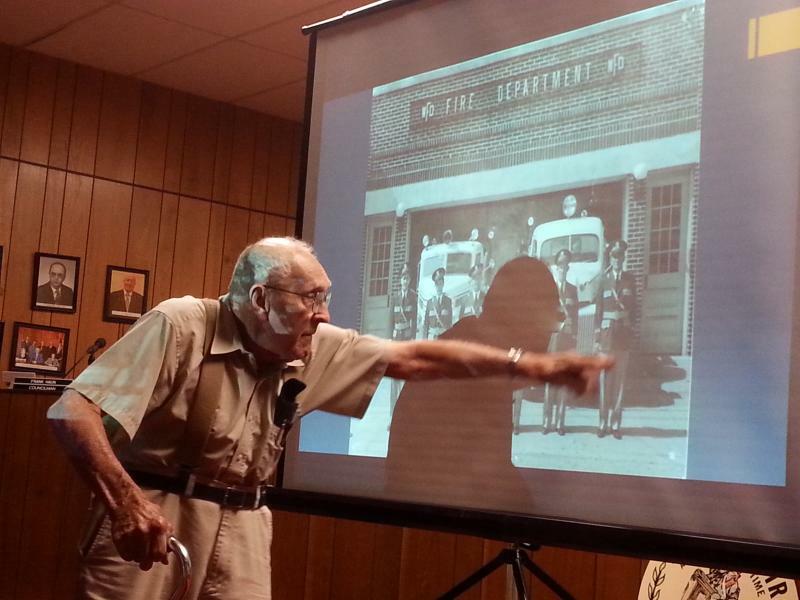 Below: At the May 2016 Program Mr. Daniel Hottel, member of the Woodstock Fire Department, points out fellow firefighters in an old photo. This was one of many images shown during Zach Hottel's presentation about the history of the Woodstock Fire Department. 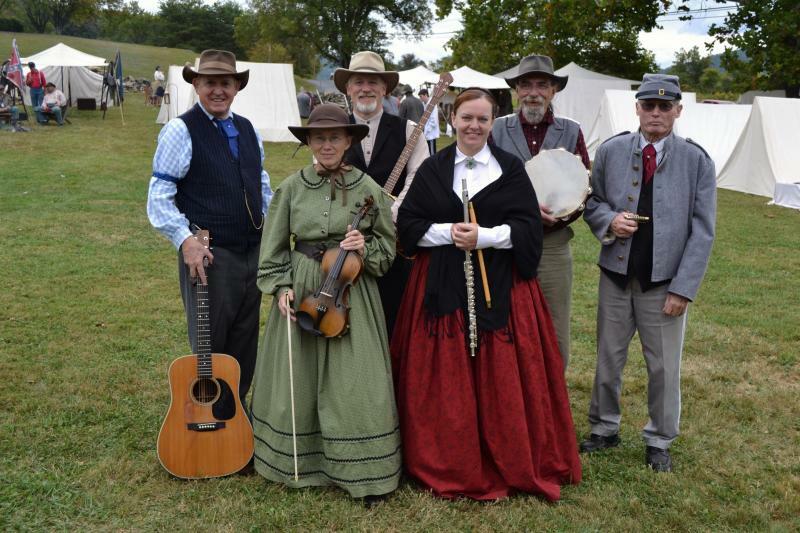 ﻿Above: The Shenandoah Valley Minstrels provided Civil War era music at the museum's Annual Docents' Dinner in October 2015. Dressed in clothing of the era, they made for a lively evening! The Woodstock Museum is one of several Valley museums featured in a half hour show, produced by Oak Tree Productions, which appeared on local PBS station WVPT in May 2011. 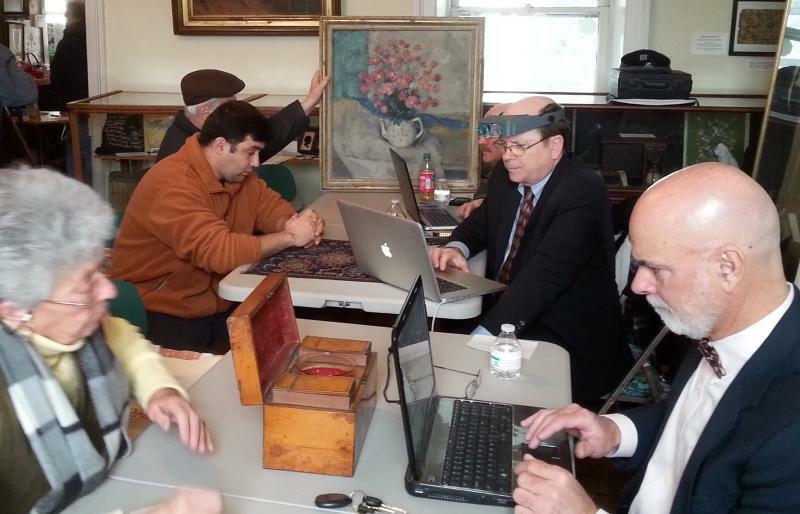 Oak Tree produced the popular 'Road Trip to History' series on Shenandoah County towns & local history. The 'Shenandoah Valley Museums' show is the latest in the 'Road Trip to History' series. The show is still occasionally shown as a rerun on WVPT. DVDs of the show are available through WVPT Virginia Public Television. Special Thanks to the Shenandoah County Chamber of Commerce for a successful 2016 Holiday Homes Tour!